I have never met Kersi Rustomji and first came to know of him through a Yahoo group consisting of mainly Asians who are or were residents in East Africa. We both lived in Kenya until the sixties. Through our common membership in the Yahoo group we occasionally exchanged private messages. We have not always agreed on various issues but Kersi has always come across to me through his communications within the group and privately as an idealist and humanitarian. His opinions are very much founded on these underlying themes. He was a teacher in Kenya and then in Australia where he currently lives. Recently after the death of Neil Armstrong, Kersi shared with the group something that he wrote about how as a teacher he involved his students in what was then a truly momentous event. What he shared with the group was subsequently printed in at least a couple of publications. As I read Kersi’s description what struck me was how he took a fairly unconventional approach in teaching his students in the context of the event and involved them in the process. Teachers in Kenya were quite conventional and tradition bound in their methods of instruction and Kersi’s approach was refreshingly original. It is a vivid description of how the entire school was involved in the the first moon landing and a remarkable example of how a good teacher can create a “teaching moment”. When in 1969 Apollo 11 blasted off, it had a magical and awe inspiring effect on a group of year seven students at a village school in Likoni, on the south coast of Kenya. Science being one of my teaching subjects at the Likoni Primary School, we had been talking about the forthcoming, greatest voyage in the history of the human race. Much earlier I had requested NASA to send all the information and educational material on Apollo 11. 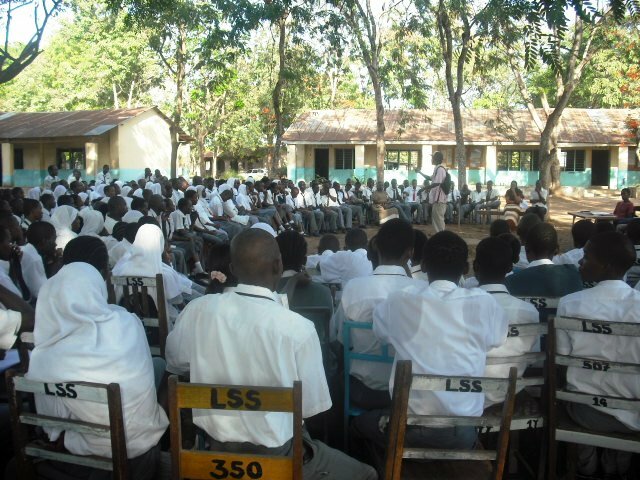 The arrival of the package and viewing of the pictorial presentations, and other displays in the standard VII classroom, was the school’s great historic event, as well for the pupils and the village of Likoni. After all the school classes had viewed the display Mtu na Mwezi, Man and Moon, a special open day was held for the parents and public in the Likoni and surrounding areas. The classroom walls displayed information written in Swahili from the NASA package, translated and with illustrations done by the class pupils. Every boy and girl in the class was abuzz with the Mtu na Mwezi exhibit, and for the two days before launch, normal class work sat on back burner, with the moon shot the only topic. Apart from the NASA printed material, the STD VII pupils had made wood carvings of the Apollo vehicle, vehicle on the launch pad, astronauts in space suit, a papier-mache moon hung from the ceiling, and a string starting from the launch pad model of Apollo 11 ran to this yellow grey moon, hovering over the classroom floor. Parents and villagers lined up to visit the class, including mothers with babies slung cozily in colourful kanga, wrap around. The village head, Chief and his officers also arrived, and as his re-election was due, gave a speech, praising the efforts of the school, and promised to obtain a grant for science equipment, if re-elected. The culmination of the village excitement was when the Municipal Education Officer, rang to say he was arriving. The school headmaster, taken by surprise, hastily summoned the Chief, the school committee and P & T members, leading local shop keepers, Inspector of Likoni police, and elders, which normally formed the welcoming party for such a visit by the Officer. After viewing the exhibit the M.E.O. spoke of the changing world, the importance of science in education and requested the headmaster to keep the exhibit open till launch time, two days away. The day before the launch, I brought my table top transistor radio, with fresh batteries and more at hand. I also had a long aerial cable, which one of the boys attached to a coconut tree near the class window, and we tried out the short wave reception on nineteen meter band. It was very clear, and apart from some static the broadcast came through clearly. On the blackboard, I had written out various headings like, Launch Time, Countdown, Blast off, Distance from Earth, Booster Separation, and more against which to tick or write information from the broadcast. On the day of the launch, class VII was at school by six in the morning, quite ahead of the launch time. They had decided to discard the school uniform for the day, and wore colourful dresses, with moon, rockets, astronaut, and other space features drawn with felt pens. The boys had their shirts similarly decorated in various space themes. As launch time approached, many parents arrived and sat on the grassed area near the classroom. In the classroom there was an electric aura, some of the pupils so excited that they had goose pimples. When the radio broadcast started, the silence in the room was most uncanny. The live broadcast, apart from some static was very clear, and I was on toes, noting and ticking all the information against the headings on the blackboard. For half an hour, we listened to the information. On the board I started to cross off the numbers as T minus was called out. It seemed so long, yet it was only a very brief moment. Then we heard. it was a go. As I crossed out the words takeoff, and turned to look at the class, there were wide eyes, open mouths and utter silence. Then they all stood and gave a roar, the girls ululated, the boys whistled, all clapped and jumped up and down. Through the open door and the ventilated walls we saw parents stand arms raised cheering, and women shuffling and ululating around the headmaster. Every classroom had children poking their heads out of the windows, and through the entire school desk tops rattled, and hand claps rang out. The whole school day was abuzz with nothing else, but the moon shot. And, this distant event so far away from the tiny Likoni village had an instant happy return for one member of the community. From the day of the display and till the day of the launch and the first step on the moon, our regular mama mandazi,the mandazi lady, who sold these triangular pastries at recess, made a very good killing, setting up raffia trays, near the VII class door. Perhaps, a very first economic windfall that emanated concurrently from a space programme. It certainly was for an old lady vending her mandazi in a sleepy little Likoni Village, on the African mainland. When I chided her for commission she promised me a free supply for the rest of the week. On the day of the landing, the excitement was no less. This time the school ground was full of parents and villagers. They filled all the grassed areas near the class room and the school playground. Men sat quietly, and puffed hand rolled sigara, thin cigarettes, that had a strong whiff. Women chatted and retrieved their small scampering children into their laps. Every person waited to hear just the few words that would tell them, a man had landed on the moon. In the class room, the radio once again brought live information as the mission progressed. As I hastily scribbled the distance away from the lunar surface via the live transmissions, not a child in the class fidgeted or whispered. Then as I chalked ‘Houston, Eagle has landed,’ the pupils came alive. Claps, whistles, and ululations filled the classroom. The Head master who sat in the corner and self received hugs from almost hysterical girls. When silence returned we awaited the next great moment. It seemed too far way. It was too long to wait after such a mighty journey, as the astronauts rested on the moon. But when, ‘One step for man, giant leap for mankind’ came through, the whole class rose in great shouts, then shot out of the door and ran round the school, in between the classes, screaming, shouting, clapping, and some with tears, went to the soccer field and began a spontaneous ngoma, dance. Never before the school had experienced such exciting days, and for the kids of the class VII, it was the most memorable day of their lives, never to be forgotten. The men and women of the village stayed back, asking me countless questions. A festive mood pervade at the school, until at the end of the school time, as the last bell rang, shouting clapping school children burst out of the classes and made noisy way home. During my 2001 visit to Likoni and the school, the class VII kids, now all adults with families invited me to an informal chai and mamuri, tea and mamri, at a pupil’s home, who was now a teacher at his old Likoni Primary School. As we sat in his small front yard, the Class VII of 1969, now young men and women, arrived. They recalled the days of the broadcast at the school, an event they would not forget. The girls, now mothers, said they felt especially important, to be included in an event of such Global importance. It enhanced their self image so very greatly, as no other girl pupils even in Mombasa mainland high schools had had such front row seats. Three had young sons; yes, they were called Armstrong. 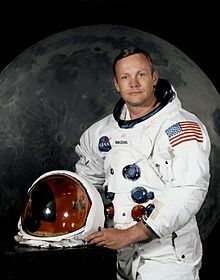 Rest in Peace dear Armstrong – Rest in Peace.